The United Nations Academic Impact (UNAI) is an initiative that aligns institutions of higher education with the United Nations in actively supporting and contributing to the realization of UN goals and mandates including the promotion and protection of human rights, access to education, sustainability and conflict resolution. 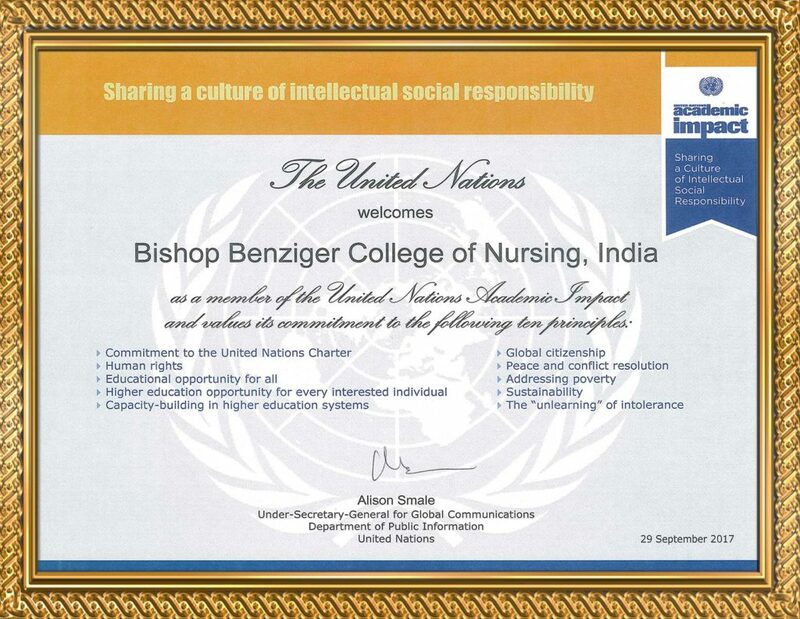 Bishop Benziger College of Nursing is now a member of the United Nations Academic Impact (UNAI). We are one among 1200 institutions in more than 120 countries and the First Medical professional College from Kerala to work with the United Nations to promote global priorities, including peace, human rights and sustainable development.